Magnetic notice boards, custom made by Myra Glass are a modern take on the traditional pin board. Highly durable, thick magnetic glass bulletin board made from toughened glass. 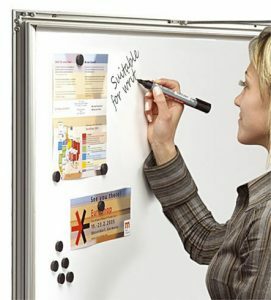 Our custom Magnetic notice board can be written on using easy to clean marker pens. All our Magnetic notice boards can be painted to any RAL code and are manufactured on-site. 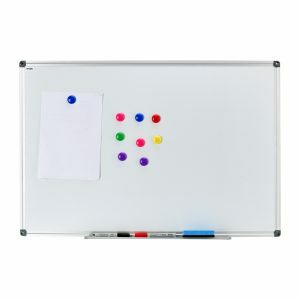 Each Magnetic notice board comes with 3 magnets to get you started. In 4mm-19mm thicknesses (where available).